Andrew and I (Stephanie, Dunedin) flew with Air New Zealand and Singapore Airlines to Vietnam via Singapore. We took advantage of the Singapore Airlines Stopover package. This package entitles you to a range of attractions for free, like the Gardens by the Bay including the Cloud Forest and Flower Dome. There is a free light show here at 7:45pm and 8:45pm every night and then at 8pm the Marina Bay Sands Hotel has a fireworks display. The 'Flower Dome' houses 30,000 plants of over 150 species across nine gardens. Around Singapore we used the Hop on Hop off bus, free with the Singapore Stopover Package. However the real reason why i wanted to stop off in Singapore was to visit the giant pandas at the Singapore Zoo. It is a must see, I’m pretty sure one winked at me! After your visit check out the awesome cafe called Mama's Kitchen and why not hop on the Amazon River Cruise. It is similar to the log boat rides at Dreamworld but with animals instead. Ho Chi Minh city is all about the history, visiting the Cu Chi tunnels, War Remnants Museum and the Independence Palace. 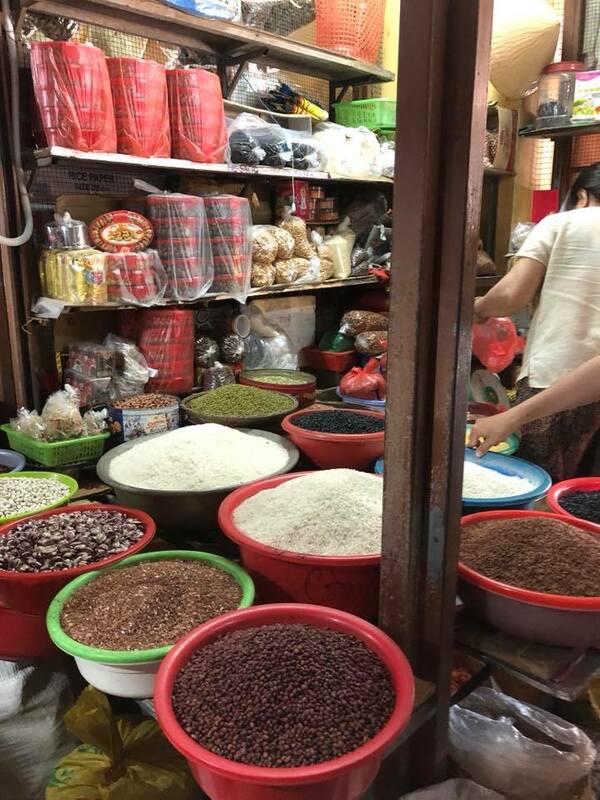 The best part for me was the Ben Thanh markets, I even got the hang of bartering, after a awhile! Careful here the vendors are quite pushy even grabbing you to come to their stalls, ignoring them helps. The Ben Thanh markets close around 6pm and then the night markets open right outside. Some amazing bargains to be had here. Another big market nearby was Saigon Square. Here they didn’t pressure us as much for a sale. We finished our last night going on a street food tour which really showed us the Vietnamese cuisine. I wasn’t game enough but my husband ate a duck embryo! 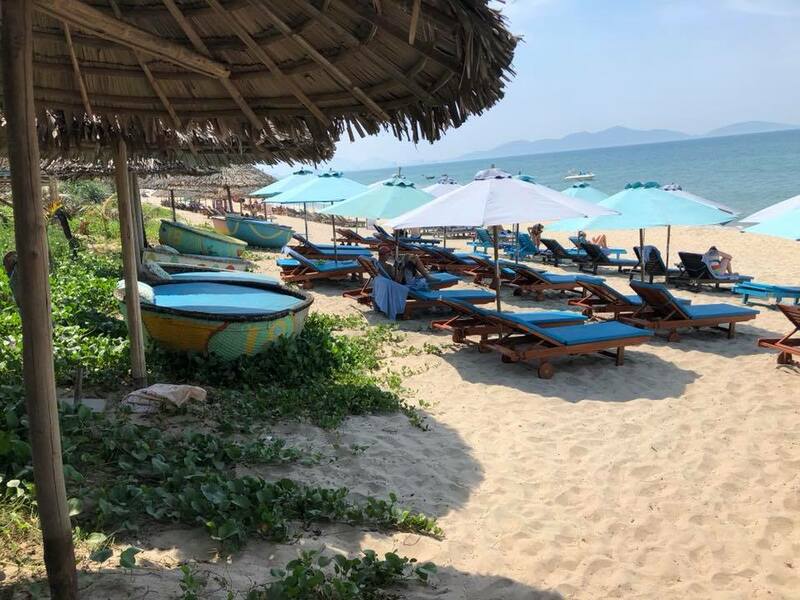 I fell in love with Hoi An, the old town and An Bang beach. We decided to stay out of town at An Bang beach and it was a good choice, only a 5 minute drive from the old town. Taking a bicycle from An Bang beach to Hoi An centre is another option but is hard work in the heat. The old town is where all the tourists head too. No cars are allowed so if you head to the outskirts you will find many taxis wanting your service. Lots of fruit and vegetable markets on the river with many restaurants. We explored Hoi An’s countryside by bicycle, viewing local life and watching farmers working in their rice fields using traditional farming methods. We then cycled along to Thu Bon river to visit a local fishing village. Once at the village we jumped into a bamboo boat along with a village local, who paddled us down the river for a unique experience. The next stop on our bikes was a lantern making class, which we participated in making our own souvenir lantern. While in Hoi An we joined a Vietnamese cooking class. First the chef took us to the markets to explain the local ingredients for the local dishes we were about to make. We then boarded a boat on the river which took us to Red Bridge cooking school. Attempting to cook some of their Vietnamese meals was a great experience. There are certainly pros and cons for staying near the old town or by the beach. I would highly recommend staying at the beach after having experienced such a busy Ho Chi Minh City. At An Bang beach there are still many restaurants, mini supermarkets, ATM machines and a pharmacy. Hue is a lot quieter than Hoi An so we took the chance to relax . In the morning our guide came and picked us up from our hotel and off we went on our motorbike tour of Hue. During the tour we rode through laneways, beside canals and through local markets, visited a king’s tomb, pagoda and local handicrafts. Lunch was at a delicious traditional Buddhist banquet served at a temple. It was a truly action packed day of scenery, history, culture and cuisine. If you can visit Hanoi in the weekend you will not be disappointed. Hanoi comes to life at night in the weekend with the roads around the lake closed to traffic and night markets where you can purchase souvenirs, clothing and food. 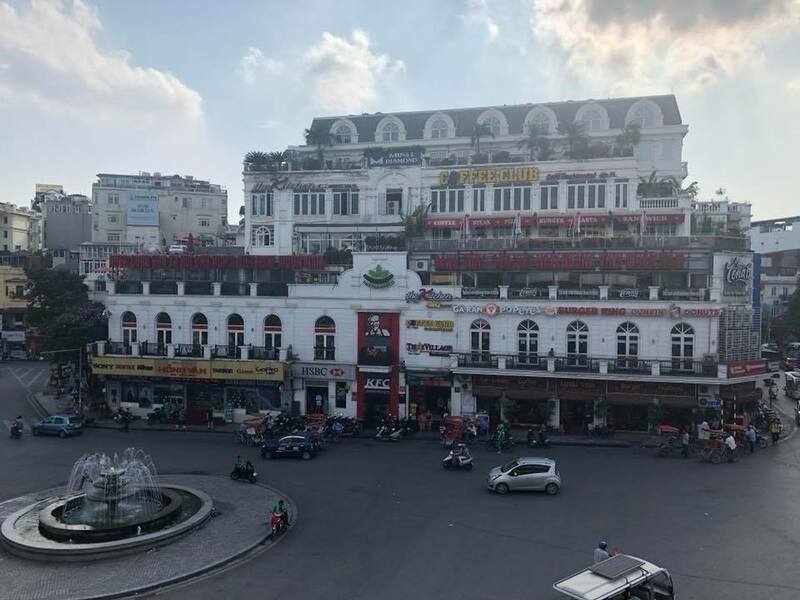 The Hanoi tourist area is split between the Old Quarter and French quarter. The Old Quarter is full of clothes and souvenirs shops. A lot of the streets are named after what they are selling like flowers, shoes , beer etc. The Ho'an Kl'em lake that is separating the Old Quarter to the French Quarter is beautiful and a great place to go for a morning walk, or after the sun goes down. Takes about 45 minutes. The day markets are on the far end of the old Quarter. Our last couple of days in Hanoi we enjoyed a Vespa motorbike tour around the countryside. We saw the local life and traditional villages near Hanoi. We drove through vegetable farms, rice farms and stopped for a visit at a temple and pagoda that dates back to 257 BC, the perfect place for us to learn about the history of Hanoi and Vietnam. 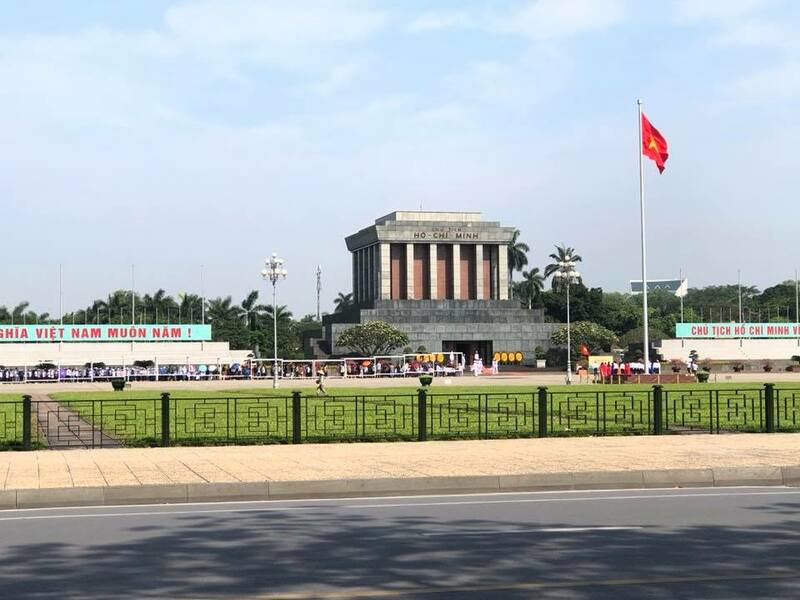 We also had a city tour around Hanoi, visiting Uncle Ho, learning about his life at the Ho Chi Minh Mausoleum, Presidential Palace, and his residence. Next stop was the Temple of Literature, site of Vietnam’s first university, built in twelfth century to teach royals Confucian theory. We continued on to visit Hoa Lo prison - nicknamed “the Hanoi Hilton“ where many famous prisoners were kept during the Vietnam war. After a 4 hour drive from Hanoi, we arrived at Halong Bay at midday, ready to board our junk boat cruise. 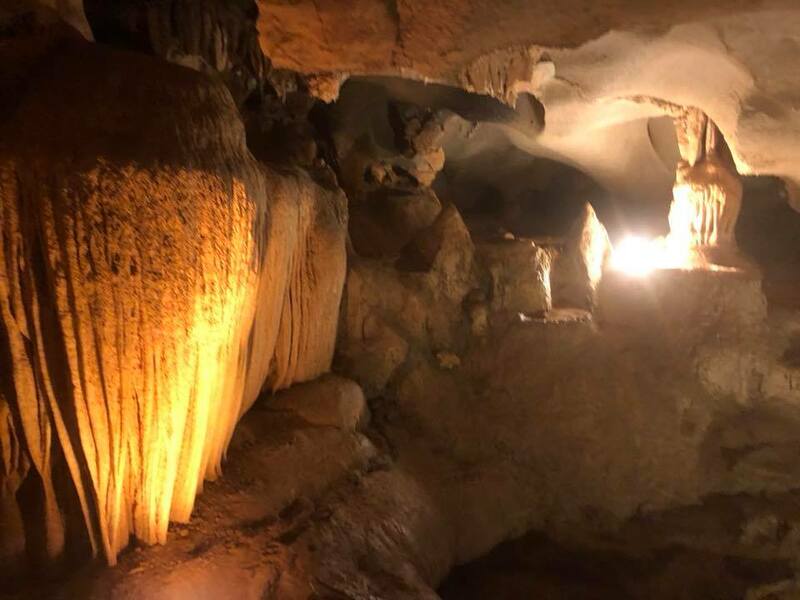 Once boarded we then set out to visit the hidden co cave (known as Thien Canh Son cave) where we took a short walk up hand built stairs to enter the spectacular caves. 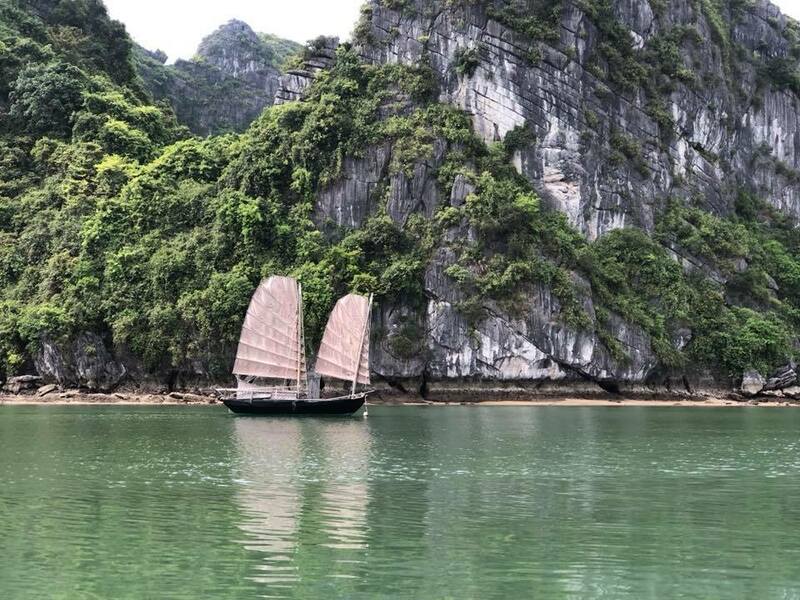 After exploring the caves we then enjoyed kayaking around magnificent karst mountains and then back to the boat for a sunset party. The next day we explored a local fishing village by bamboo boat and stopped off at a pearl farm to watch pearls being prepared to be sold. The food on board was amazing and the views around us picturesque! Some places I would recommend to eat at . . . .
'Soul kitchen' - located in An Bang , if you are just wanting some western food, right on the beach so fantastic views. Down the alley way right at the end. 'Salt' - Across the road from Beachside boutique resort. Awesome atmosphere has an outside area, again right on the beach and mixture of western and Vietnamese food. 'Burger Craft' - A small burger place on the side of the road in An bang. Yummy burgers all with beef patties. Sit by the road and watch everyone walk down to the beach. 'DMZ' - On the corner opposite Century Riverside hotel. Great food and atmosphere , has a rooftop area. Reasonable prices. 'Skyline cafe' - Rooftop bar beside May de Ville hotel. Absolutely stunning views of the city as it is higher than many of the other buildings. Newer PostIs a Touring Holiday For You?